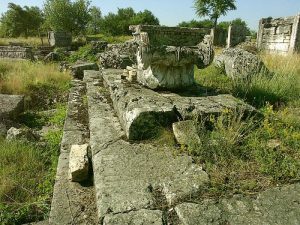 The town of Nikyup near the city of Veliko Tarnovo in Central North Bulgaria is going to hold its first ever festival dedicated to the heritage of the huge Ancient Roman city of Nicopolis ad Istrum, whose ruins are located nearby. The first Roman Festival of Nicopolis ad Istrum is going to take place on Saturday, August 13, 2016, Nikyup Mayor Yordanka Atanasova has announced, as cited by Radio Focus Veliko Tarnovo. The ruins of Nicopolis ad Istrum, whose name means “Victory City on the Danube River”, are located near today’s town of Nikyup, Veliko Tarnovo Municipality, 18 km northwest of the city of Veliko Tarnovo. It was founded by Roman Emperor Trajan (Marcus Ulpius Traianus) (r. 98-117 AD) to honor his victories over the Dacian tribes between 101 and 106 AD (most probably in 102 AD) at the intersection of the two main roads of the DanubianRoman provinces – the road from Odessus (Odessos) on the Black Sea (today’s Varna) to the western parts of the Balkan Peninsula, and the road from the Roman military camp Novae (today’s Svishtov) on the Danube to the southern parts of the Balkan Peninsula. The Ancient Roman city was destroyed in 447 AD by the barbarian forces of Attila the Hun, even though it might have been abandoned by its residents even before that. It was partly rebuilt as a fortified post of the Eastern Roman Empire (Byzantium) in the 6th century AD which in turn was destroyed at the end of the 6th century AD by an Avar invasion. Later, it was settled as a medieval city in the Bulgarian Empire between the 10th and the 14th century. 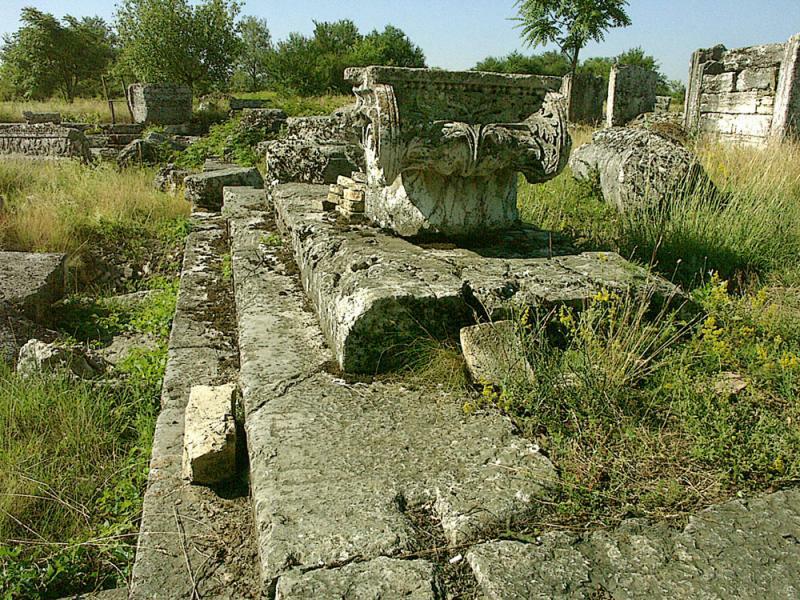 The archaeological exploration of Nicopolis ad Istrum first started in 1900, while the presently ongoing excavation efforts were restarted in 2007. Unfortunately, the Roman city of Nicopolis ad Istrum still remains a largely unknown destination for cultural tourism. Recent data has shown that in 2015, it was visited by fewer than 4,000 tourists, a number which is nonetheless an increase compared with previous years. The initiative for organizing a festival with historical reenactments at Nicopolis ad Istrum was first announced in March 2016 alongside a campaign to recruit volunteers for the 2016 summer excavations of the Roman city. The call for volunteers from Bulgaria and abroad issued at the beginning of the year by the town hall of Nikyup and lead archaeologist Assoc. Prof. Pavlina Vladkova from the Veliko Tarnovo Regional Museum of History has generated much interested. It has resulted in the selection of a total of 26 applicants from Bulgaria, Romania, Switzerland, and the USA who are going to enjoy archaeology and history lectures and field trips to other major archaeological sites (including the Ancient Roman villa and pottery making factory in Pavlikeni, and Novae, another major Roman city whose ruins are found near the Danube town of Svishtov) as part of their program. 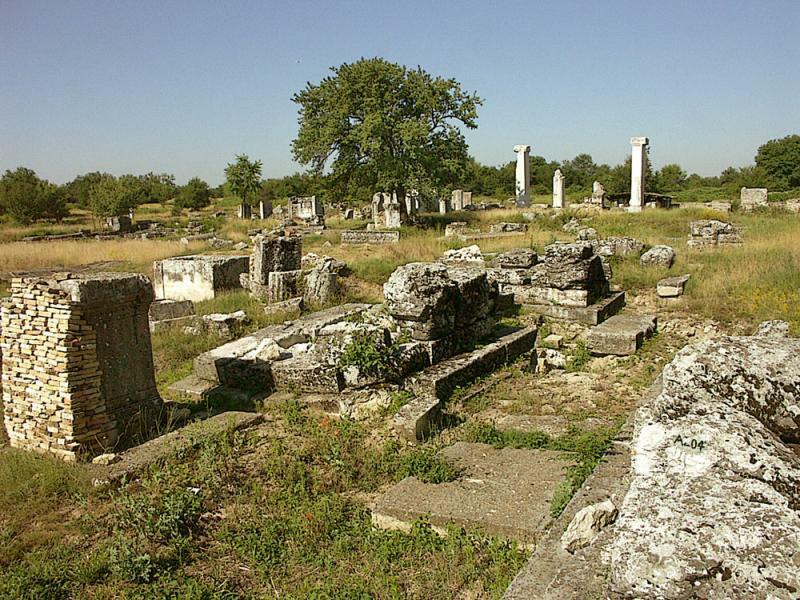 In addition to the volunteers, who are going to have a first-hand experience of the first Roman Festival of Nicopolis ad Istrum, the event will be open to the general public, with Bulgarian and international visitors being invited to attend. Thus, on August 13, 2016, the ruins of the Roman city will be opened for visitors between 9 am and 6 pm, with the official program of the Festival starting at 10 am. According to Mayor Atanasova, the historical reenactments will seek to recreate the life in Nicopolis ad Istrum in the 2nd-3rd century AD. They will feature Roman crafts, commerce, gladiator battles, cuisine, and medical practices. The largest international group of reenactors will be from the Romanian Black Sea city of Constanta whereas the largest groups of Bulgarian reenactors will come from Sofia and Plovdiv, with the participation of a group for Ancient Roman reenactments from the town of Debelets. The director and script writer of the Festival also comes from Plovdiv. The reenactments will be hosted by a Veliko Tarnovo-based club called “Tradition”. The first Roman Festival of Nicopolis ad Istrum is funded with a total of BGN 9,333 (app EUR 4,600) by Veliko Tarnovo Municipality under a project entitled “Roman Life, Culture, and Cuisine in Nicopolis ad Istrum”. Its ruins are located near today’s town of Nikyup, Veliko Tarnovo Municipality, 18 km northwest of the city of Veliko Tarnovo in Central Northern Bulgaria. Its name means “Victory City on the Danube River”. It was founded by Roman Emperor Marcus Ulpius Traianus (r. 98-117 AD) to honor his victories over the Daciantribes between 101 and 106 AD (most probably in 102 AD) on a plateau on the left bank of the Rositsa River. This is where the two main roads of the DanubianRoman provinces intersected – the road from Odessus (Odessos) on the Black Sea (today’s Varna) to the western parts of the Balkan Peninsula, and the road from the Roman military camp Novae (today’s Svishtov) on the Danube to the southern parts of the Balkan Peninsula. The fortress walls of Nicopolis ad Istrum were erected only after the city was ransacked by a barbarian attack of the Costoboci, an ancient people possibly linked to the Getae (Gets) inhabiting an area in today’s Western Ukraine. The city square (agora) featured a statue of Roman Emperor Trajan mounted on a horse, a number of other marble statues, a Ionic colonnade, a three-nave basilica, a bouleuterion (a public building housing the boule – council of citizens), a building to the cult of goddess Cybele, a small odeon (theater), thermae (public baths) as well as a building which according to an inscription was a “termoperiatos” which can be likened to a modern-day shopping mall – a heated building with shops and closed space for walks and business meetings. A total of 121 stone and brick tombs and sarcophagi have been found by the Bulgarian archaeologists excavating the city’s necropolis. Some villas and other buildings in the residential parts of Nicopolis ad Istrum have also been excavated.